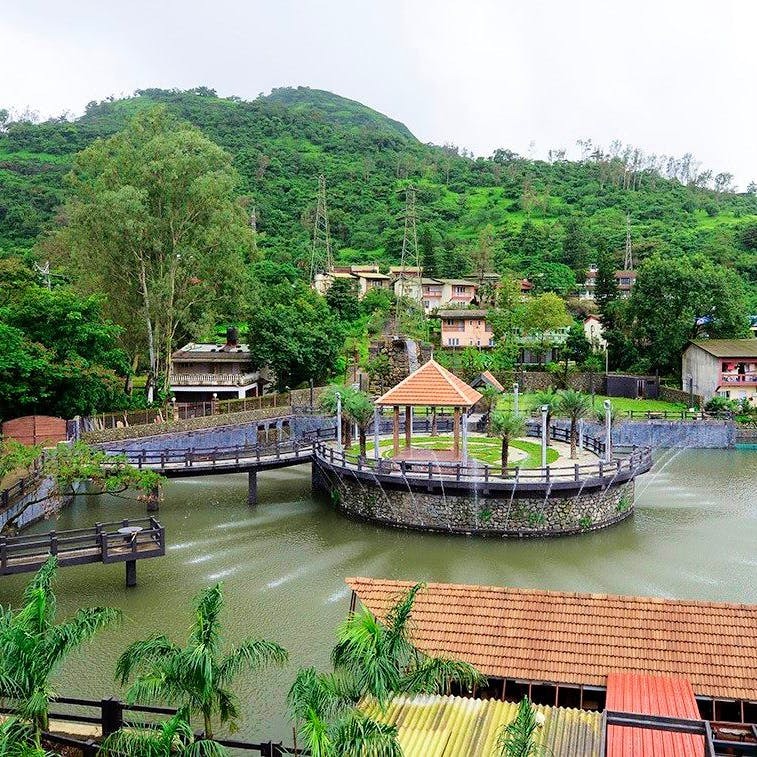 Mystica Resort, located along the majestic hills of Khandala and boasting of all the modern facilities looks like the perfect destination for a peaceful and rejuvenating holiday away from home (yet close to home). Built on 5 acres of sheltered land, Mystica Resort has about 45 rooms across various categories (super deluxe, interconnected and suite rooms and honeymoon suite with a jacuzzi) to choose from depending on your budget and requirement. Each room is unique and has its own style and offers maximum comfort to relax on your time away from routine. The resort is stylish and has done a great job of fusing modern international design with a hint of local flavour to make it every traveller's dream stay. Each room is equipped with all modern amenities and have an unmatched view of the pool, natural lake and hills that will make waking up in the morning worth it. If you're looking for a unique experience, book their House Boat Barbeque Restaurant where you can cook your own kebabs on your table. It is ideal for a date or a family get-together where you will experience tranquility at its best. For the young-hearted and kids, hit up the lagoon swimming pool with a small waterfall that overlooks the pool. There are a lot of other recreational activities for the kids too, that can keep them busy while you pause from routine. If you're a fitness freak, Mystic Resorts has you covered with their in-house health club. If you're looking for an undisturbed location for your holiday, Mystica Resort is your best bet with a variety of options to choose from. P.S.- Check with the resort for attractive packages for trekking, boating, fishing and more if you want to indulge in offbeat activities while holidaying.